Civilians fleeing Bani Walid and Sirte say the two Libyan cities fighting off the revolutionary forces are turning into a trap. The eyewitnesses told of no food, no medical aid – and no care for civilians. ­Sirte is under random bombardment by the NTC forces, a woman who asked that she be identified as Selma told RT. Just a day ago, Selma fled from Bani Walid, one of the last pro-Gaddafi strongholds fighting off the attacks of the revolutionary forces. She says a mere declaration of loyalty to Colonel Muammar Gaddafi could cost your life there. Another eyewitness from Bani Walid, who asked to be identified only as Ransi, escaped to Tripoli three days ago. The man says NATO has been bombing the city indiscriminately. ­Meanwhile, another Gaddafi stronghold, the deposed ruler’s hometown of Sirte, has come under resumed fire by the National Transitional Council’s forces. The two-day lull in fighting agreed by the belligerents was meant to give civilians time to leave the besieged city. Hundreds of civilians have managed to leave the place, dubbed as being a humanitarian disaster zone, but reports suggest that thousands remain inside, too scared to leave their homes. "There is no food, no water, no power. 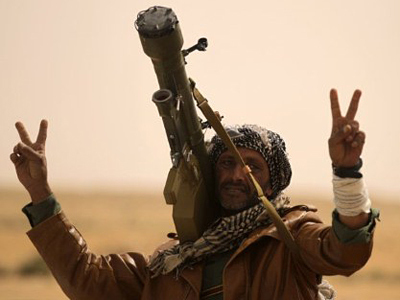 Some are trapped because there is no fuel, others are trapped because of the militias," an eyewitness told Reuters. "The people who are trapped inside are in danger. There is random shelling everywhere." The Red Cross mission was forced to leave Gaddafi’s hometown together with the fleeing refugees after less than 48 hours inside. A new Red Cross convoy that tried to deliver aid supplies to Sirte on Monday had to turn back due to the NTC forces resuming fire. 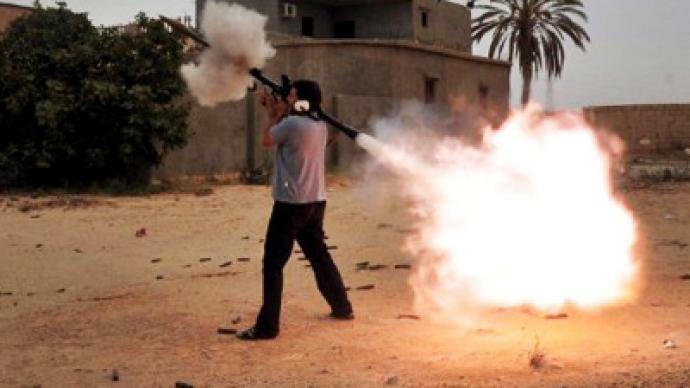 Anti-Gaddafi forces have pulled in more artillery in an attempt to break the stubborn resistance of their opponents occupying the city, where, the rebels believe, Gaddafi’s son Mutassim is hiding. 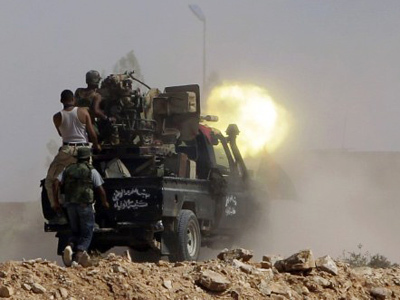 In their Monday advance, the NTC troops advanced on the Sirte district of Bouhadi. This stronghold of Gaddafi's tribe, where many residents reject the new government, met the troops with empty houses and all-too-many Gaddafi green flags flying from most of the buildings. Reuters’ correspondent on the scene says a number NTC fighters could not but help themselves to some of the abandoned possessions. ­Author and journalist Afshin Rattansi told RT that the current picture in Libya is disturbing, as the talk there is not about the future of the country and its people, but about oil. 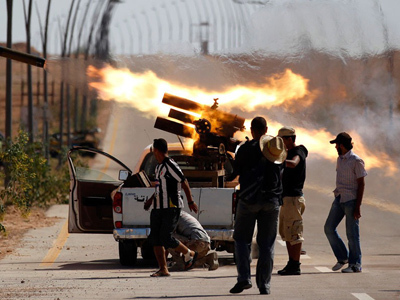 Civilian deaths in Libya: who’s killing who?